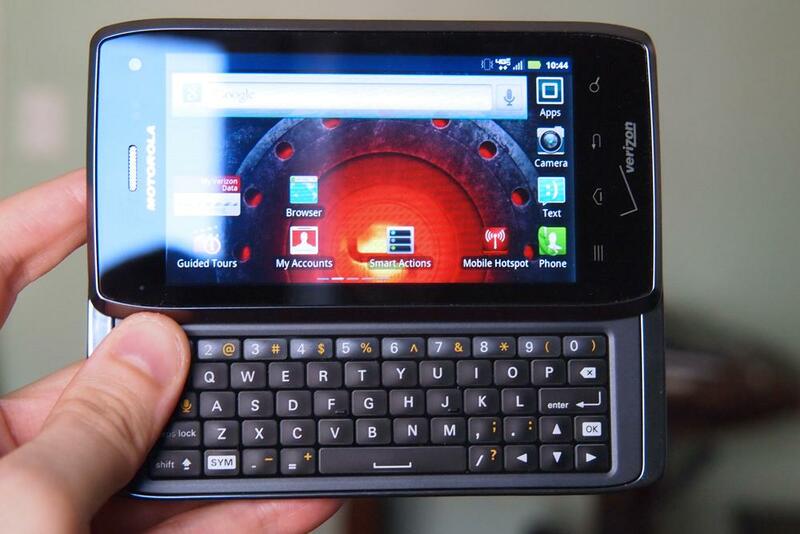 If you want a phone that can tap into Verizon's 4G LTE network and you prefer a physical keyboard, then you can't go wrong with the Motorola Droid 4. Did we mention the keyboard? Do you remember the Droid 3? It came out last July, bringing a fine update to the Droid line in almost every way. 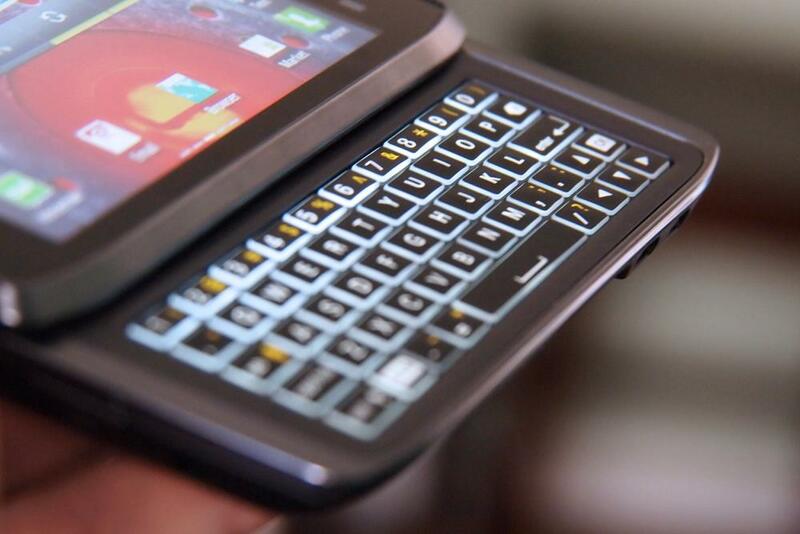 It had a dual-core processor, a slick new design, new software, and a new five-row keyboard. Unfortunately, Motorola underestimated the importance of one essential feature: 4G LTE. 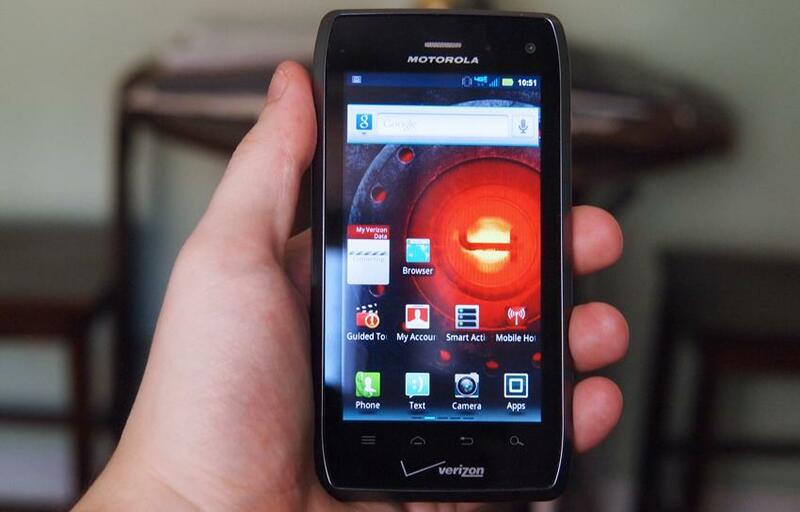 Without it, the Droid 3 quickly slid to the back shelf of Verizon’s sales efforts, replaced by devices like the Droid Bionic, HTC Rezound, Droid Razr, and Galaxy Nexus. 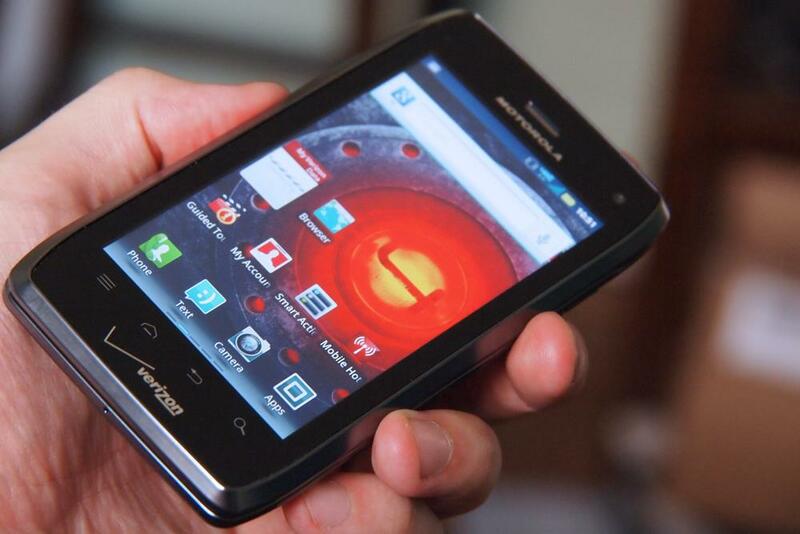 Just seven months later, Motorola is attempting to revive the Android handset series that brought it to the mainstream. The Droid 4 runs almost identical specs to its predecessor, but with one key addition: LTE. Is it enough? 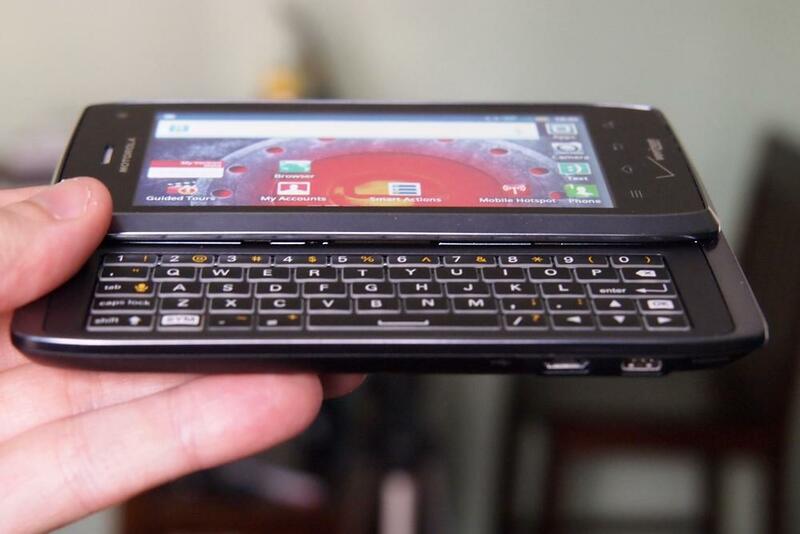 If you’ve ever picked up a Droid, you’d know that they’ve never been the thinnest or lightest handsets on the market, mostly thanks to their large slide-out keyboards and metal construction. The Droid 4 is a step up and down for the brand. We’ll leave it up to you to decide if it looks good or not, but the Droid 4 follows the design aesthetics of the new Razr handset and Xyboard tablets. Gone is the metal casing, rubberized backing, and signature Droid antenna bump on the bottom of the handset. Replacing it is a new plastic frame (half an inch thick) with tapered edges and corners, giving it the hint of an octagonal shape (or maybe a phone out of Battlestar Galactica). The plastic design doesn’t give it a particularly cheap feeling, but we have to wonder how well some of the silver paint will hold up after a few months in and out of your pockets. For those who are bothered when things aren’t flush, the Droid 3’s protruding camera issue is mostly absent from the new model. 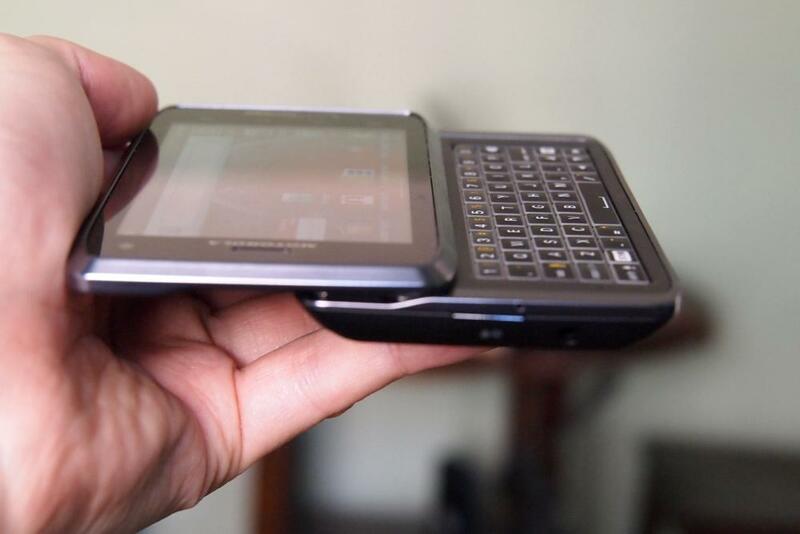 The camera sits exactly where the Razr’s camera is, and even has the same trapezoidal mirrored glass finish around it. 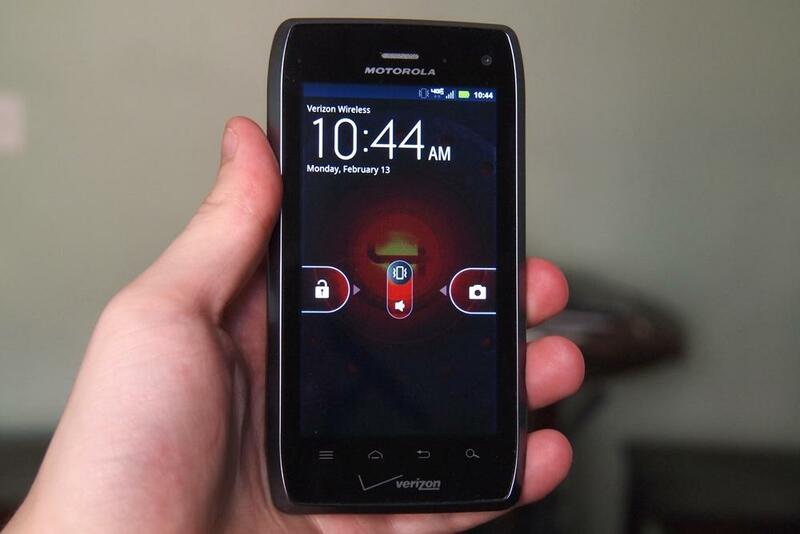 The button and port placement, on the other hand, are identical to the Droid 3. The power button is centered on top of the handset and the volume toggle is on the upper right side. The placement okay, but both buttons are a bit too thin and short to stand out and feel comfortable to press. 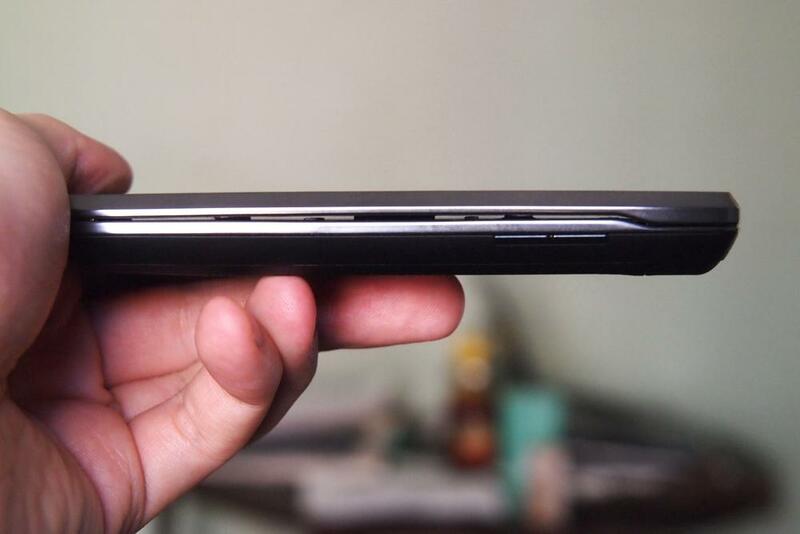 This is a problem with the Razr as well. The main speaker is on the bottom left on the back, and the audio jack is up top, right next to the power. Micro HDMI and micro USB ports are both on the lower left side of the handset. 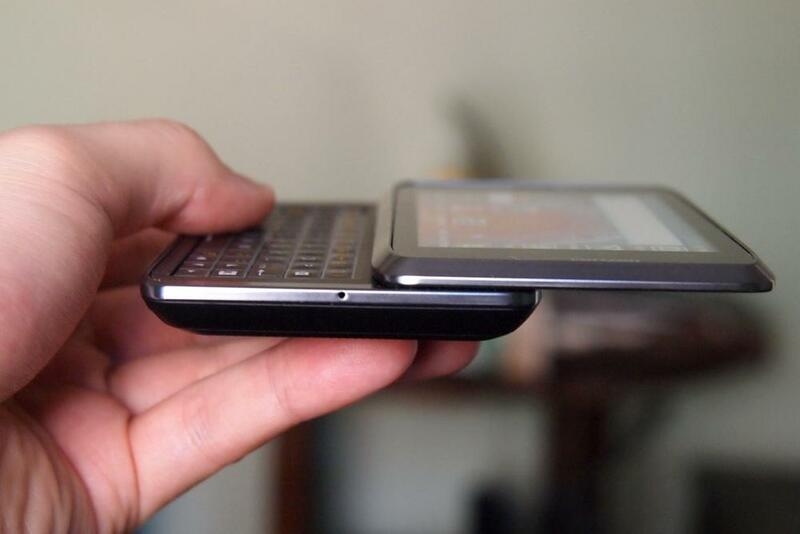 We’ve been bellowing on about the design of the phone, but honestly, it’s the feel of the QWERTY keyboard that matters. Nobody buys a Droid because of its looks. Luckily, though the rest of the handset is a bit of a mixed bag, we can safely say that the Droid 4’s keyboard is much nicer than the Droid 3, which was previously our favorite keyboard on a major carrier. This is our new favorite. Like the Droid 3, the new keyboard has a dedicated number row, so you no longer have to hold the shift key to type out an address. The key layout remains mostly similar to the Droid 3 as well, though Moto has made some smart choices, like removing the odd secondary ALT functions of the standard keys. Instead, those functions have moved those to the number buttons, much like a standard laptop keyboard (Shift + 4 will make $, Shift + 5 will make %). This unclutters the look of the keyboard. A Symbol button brings up an onscreen menu for selecting other strange characters. The direction keys and OK button are also intact, which is nice. Perhaps the most impressive part of the keyboard is how well it lights up. At CES, Motorola representatives told us that each key was individually lit. Honestly, we believe it. The entire keyboard illuminates brightly and each key has a glowing edge. It’s great. The slide-out mechanism is much like previous Droids. There’s a bit of a snap when you open and close the QWERTY, so you know that it’s fully extended or hidden. The buttons also have a much better click to them than any previous Droid. 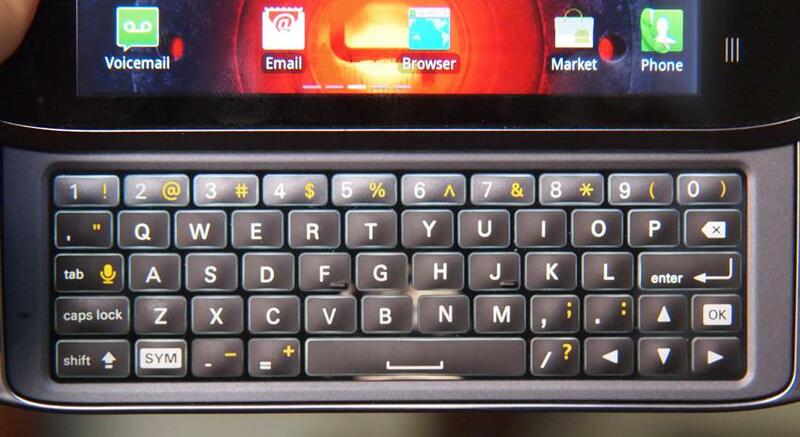 With a bit of practice, Droid 4 users may be the fastest typists on a mobile device. The processing power on the Droid 4 is par for the course. Unlike its predecessor, Motorola has upped the RAM from 512MB to 1GB. The processor has also switched from a 1GHz dual-core Nvidia Tegra 2 to a 1.2GHz dual-core Texas Instruments OMAP 4430. Internal storage still sits at 16GB, but there is a microSD slot, something the iPhone 4S and Galaxy Nexus do not have. Of couse, it also has all of the standard smartphone perks like an accelerometer, GPS, digital compass, barometer, and Bluetooth. 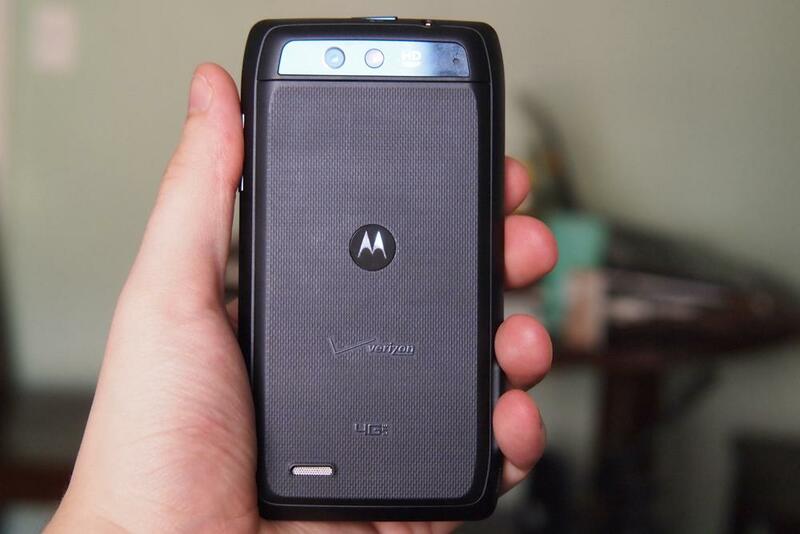 Though the Razr’s Super AMOLED screen showed promise, Motorola has relapsed. Like the Droid 3, Droid Bionic, Atrix, and Droid X2, the Droid 4 has a washed out, PenTile LCD display (read about it here). The 4-inch size and 540 x 960 pixel resolution (also known as qHD) of the screen is solid, though the Galaxy Nexus and HTC Rezound recently upped the bar with 1280 x 720 pixel displays. The problem stems from the cost-saving PenTile screen type Motorola has chosen. It just doesn’t measure up. While usable, the Droid 4 screen seems incapable of displaying vibrant, vivid color and a noticeable array of tiny black subpixels cover the screen, ruining the sharp fonts and icons that should come with a screen resolution this high. Some color banding can be seen in some situations as well. Motorola has tried to cover up the screen’s problems with its NinjaBlur user interface, which re-colors Android 2.3 with a gray-and-dark-blue color scheme (these are two colors that actually tend to show up correctly). 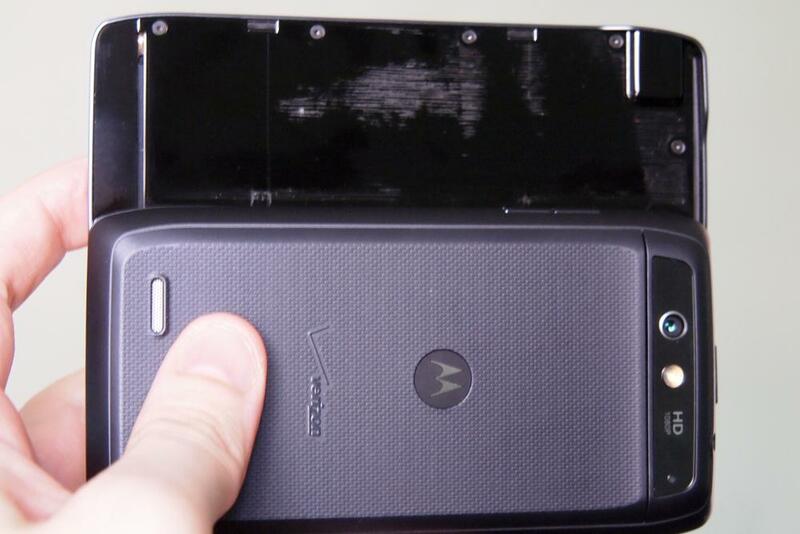 We’ve been complaining and harping on Moto’s screens for months now. 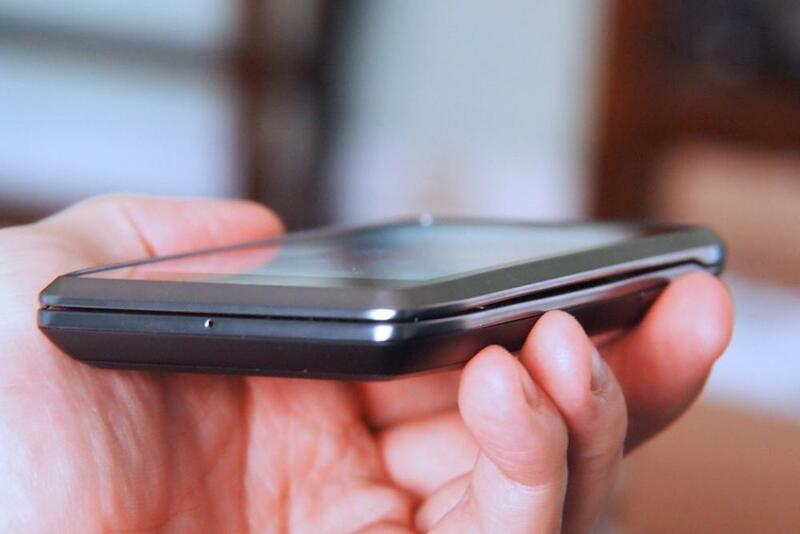 If you are like us, the phone’s lackluster display may cheapen your experience, but many of you may not notice it much at all. Until, of course, you see how colorful your friend’s new screen is. We recommend you try out the phone at a store and look deep into its screen. If it bothers you, move on.